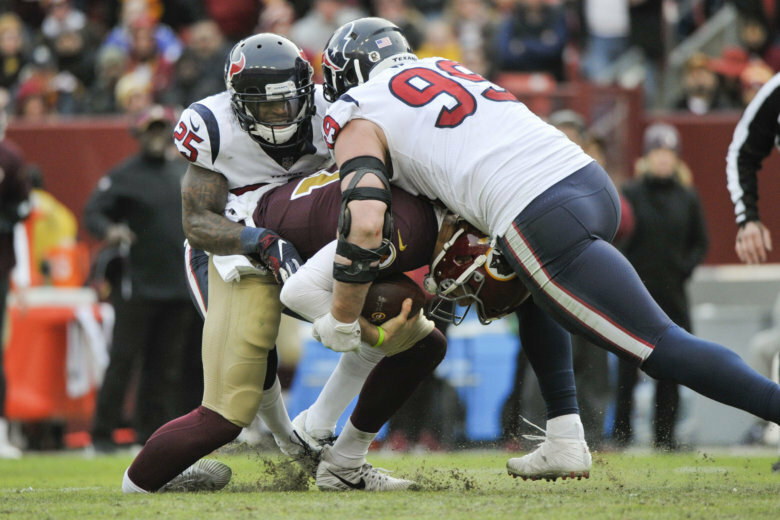 Redskins quarterback Alex Smith left the game against the Houston Texans after suffering a gruesome leg injury in the third quarter of the game. Coach Jay Gruden announced Smith had a broken tibia and fibula, and will have surgery "right away." WASHINGTON — Redskins quarterback Alex Smith left the game against the Houston Texans after suffering a gruesome leg injury in the third quarter of the game. On a third-down pass play, Smith’s leg was bent awkwardly on a sack by J.J. Watt and had to be carted to the locker room. In a tweet, the team described it as an ankle injury and that Smith would not return. Smith was then taken to a nearby hospital. Smith was replaced by backup quarterback Colt McCoy, who Gruden said he has confidence in going forward. “This is an opportunity for Colt, and I think he’ll take advantage of it,” he said. The team narrowly lost to the Texans Sunday, 21-23. Smith’s leg injury happens exactly 33 years after the infamous — and eerily similar — play that ended Redskins’ legend Joe Theismann’s career. The final score in that game was also 21-23, but that time, the Redskins came away with the victory. 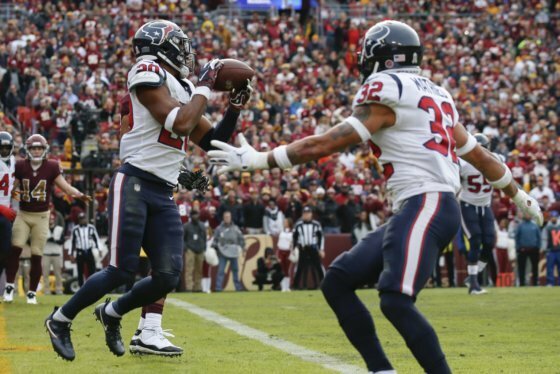 Justin Reid returned an interception 101 yards to help the Houston Texans overcome a mistake-prone Deshaun Watson and beat the Washington Redskins 23-21 on Sunday for their seventh consecutive victory.